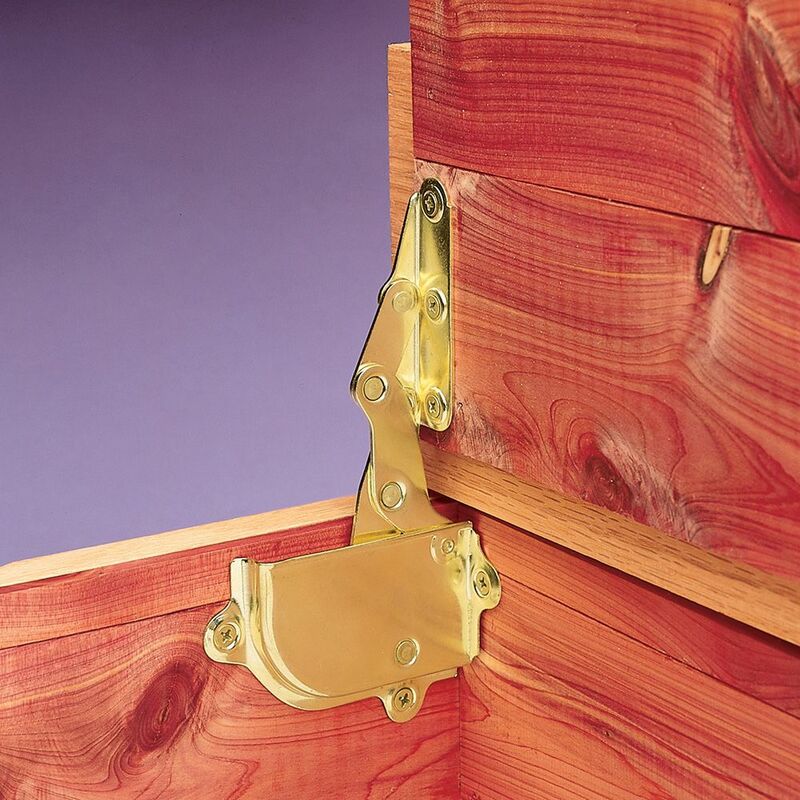 This classic chest hinge integrates a lid support, making it the ideal choice for a lid hinge on cedar chests, blanket chests or hope chests. Lid stays engaged at approximately 95°. Hinge is sturdily constructed from brass plated steel. Mounts to side of case and underside of flat lid. 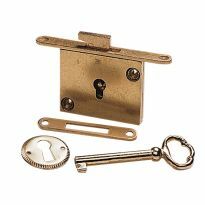 Includes one left and one right hinge, plus matching screws. quality was great, unfortunately I couldn't use them for my application as the scope of project had changed. I'll save them for future use. Very good product i would definitely use them again!!!. Built Cedar chests for my daughters, these hinges are sturdy the best I’ve found for this kind of chest. I would definitely recommend these Hinges and will use again when I build another chest for our house.. This dual purpose hinge is the perfect item to use for a small utility box (cat litter holder, plastic bags, cat litter scoop,etc. They were just what the builder needed! They worked great. Will order more as I need them. Used for a cedar chest box. Great product, look great and work fantastic, but that is what I have come to expect from Rockler products. hinges were easy to install and worked great! Rockler's cedar chest hinge and lid support is the only one I have used over the last 35 years. They are durable and easy to apply. Hinges arrived promptly and in good condition, easy to install and worked well. Hinges worked perfectly. Very strong and sturdy. Also bought locks for my chest. Recommend using Rockler for everything!!!!!! 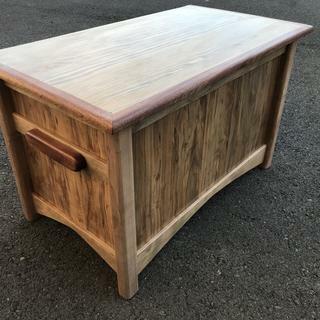 My project was to referbish a cedar chest that I built in shop clas back in 1955. one of the hinges was broken and I didn't think I had a chance of finding a n exact replcement.I went shop the internet and found Rockler Woodworking and sure enough there was the exact same hinge support. Adequate,doesn’t operate as smooth as I would like. This was the third pair I have used lately and were much better quality than the pair I got previously. The pair I got earlier was not good at all so I ordered this last pair and replaced them. They were much tighter and easier to install, resulting in a much better fit. The hinge supports are strong enough for my rather heavy lid. 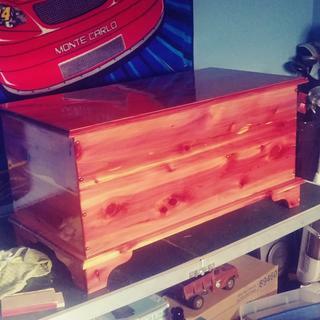 I made a cedar chest out of 1 inch stock (nominal 5/4). The lid weighs about 15 lbs (heavy). The hinge supports have enough friction built -in to support my lid in the open position. The supports aren't designed for soft close, so the lid will drop and slam if you let it. With 1" stock, I fit the lid to the supports without following the instructions available in Technical Downloads. I got the lid to fit and swing free on the first attempt, but realized the spacing for the screw holes must contemplate 3/4" stock. If I'd slavishly followed the instructions, the I don't think my lid would have fit properly. No instructions. So I went online, found them. Lid works great. 44 inches by 17 and made of walnut. Yes, I would recommend this. Works great as an ottoman lid hinge/support. include instructions with hinge package. Instructions are not detailed enough and proper location of hinge is critical to the operations of lid.. need more precise instructions or a template would be very helpful. I had to order (4) four types of hinge's because or the way I built the chest lid. The ones I used worked great for what I was doing. I will use the other ones on other projects. I like them, but have problem at time installing them (bottom screw on the top part). The pair of hinges that I purchased were whole, intact, and functional although very very stiff at first. The instructions for installation were rather less than genuinely helpful so it took me quite a while and effort to get the lid portion of my cedar trunk (a rather old one that needed renovation and modification) properly attached such that all of the clearances allowed for no wood-on-wood rubbing during opening/closing. The hinges have operated flawlessly and held up under considerable use of the rather heavy (20+lbs) solid cedar lid long enough to seat two persons comfortably. I've used these hinges on 5 cedar chests over about 15 years. They have all been easy to install and problem free. Over all I think that this is a very good hinge/support. When I recieved the first set one of them was broken, but after calling them and explaining this they sent a new one right away free of charge. VERY PLEASED!! Cedar. Chest hinges. Unfortunately I was unable to place the hinges far enough toward the back of the chest for the top to open more than about eight or ten inches. 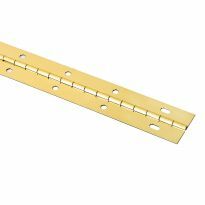 I'm looking into the possibility of using a piano hinge. This problem was not the fault of the hinges, ut was due to my putting a horizontal piece of wood at the inside of the back to strengthen it. Had trouble with the hinges fitting correctly kept wanting to bind up. A template/instructions would have been nice--since even though they were almost identical to my old hinges--the mounting holes were all different and it made it difficult to line them up. Like another reviewer said, you have to careful how much overhang on the back you have on the lid. And finally, one was of them was slightly warped. I will continue to purchase Rockler--you all have good prducts. Ok since we do not open and close often. Does not keep lid open. Not precisely made by any means! When installing the hinges per the instructions provided there were two problems. The actual riveted hinge points with the mechanism protruded outside of the housing which required routing of the chest wall. When installed as specified in the instructions the attachment flange for the chest top was nearly 1/4 inch above the chest side walls. This hinge is a GOOD one..... But for safety (on toy boxes)you need a stay to keep the lid from slamming closed!Editor's note: This support/hinge is not recommended for toy boxes applications. This was too stiff for my project. I'm not sure I can return it, nor do I want to pay return shipping, but I am unable to use it. It looks nice, but didn't work for me. I would not recommend this product. I have been woodworking for 30 years and have not been this disappointed in a product. the instructions are terrible, the hinges did not seam to be the same, you can not have a 3/8 over hang in the back, 1/8 at the most. 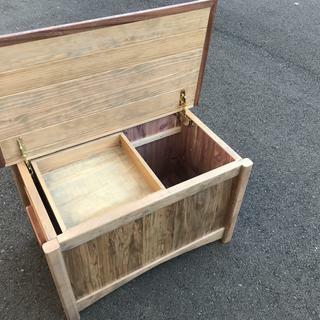 I had to make a sample chest and lid to try and get the right placement. Spent an extra 4 hours to get them to work. The product may be basically good but as shown in these reviews broken upon arrival is not unusual. One of my hinges had a broken rivet. The main problem though is the failure to include the fact that the hinge will not work on boxes with a wall thickness of more than 3/4 inch. Mine is 1 inch. First pair of hinges a pin in the lid mechanism was broken on arrival, hinge replaced at local Rockler Store - no problem. Hinge installtion instructions do not say the side/back material cannot exceed 3/4&quot;, lid/top will not fully open. My material was 1-1/4&quot;. Very disappointed, now have to hid drilled holes on a what was a perfect top. No instructions, holes needed to be enlarged, all holes needed to be chamfered, one hinge has a lot play in it & I needed to file rough metal off 1 hinge. This hinge is prone to failure, apparently. The weak point seems to be the lower pivot rivet. The assembly is stiff enough that the presence of a broken rivet can be easily masked by the initial hinge inflexibility (before the hinge is broken in). 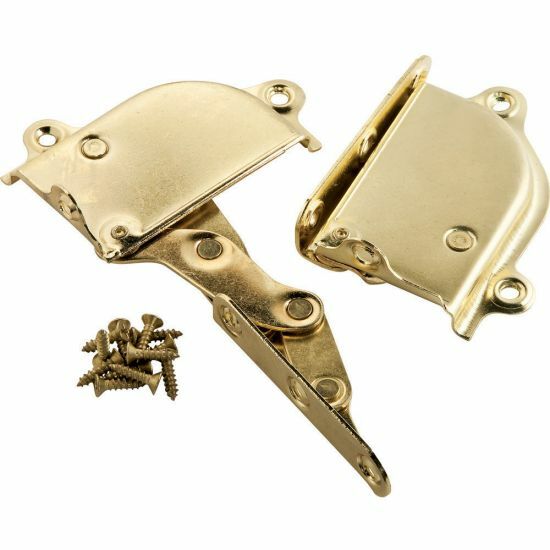 I received a broken hinge initially on my first order. Rockler shipped me a replacement hinge set. The replacement set also had a broken rivet on the same side as the initial set. I called Rockler and they replaced my second hinge set too. This time they opened the package and verified its integrity. I have to give Rockler five stars for their customer support. I attempted to repair one of the broken hinges but found it too difficult to get a replacement rivet to be stable. I probably won't use this hinge again. The instructions about how to position the hinge relative to the selvedge edge could be improved. 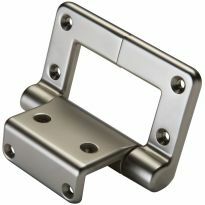 Also the literature indicates that the hinge can accommodate 3/8&quot; of lid overhang to the rear. I was skeptical and conservatively designed for 1/4&quot; of overhang. The lid just drags on the selvedge edge now but I can tune out this interference fairly easily. Had I designed for 3/8&quot; of overhang, I would have needed to relocate the lid mounting holes to correct a much more significant interference. The hinge design needs to be revised to accommodate a larger or more durable rivet in the lower pivot position. Also, inspection of these hinge sets should be more thorough during fabrication and in incoming inspection. I will be surveying Rockler product offerings for more durable replacements for this hinge in the future. Again, Rockler, themselves, get five stars for their great customer support. I have not rated the hinge highly. Lack of instructions in package to state the chest lid cannot extend more than 3/8&quot; in the back. Broke after light use. This hinge did not meet my expectations. The hinge point on the two hinges obviously was different so that once installed the lid did not close evenly. The other problem was that the hinges were very roughly made and they rubbed on the sides of the cover. I ended up not using these hinges for the project as they did not provide the desired finish product to match the chest. 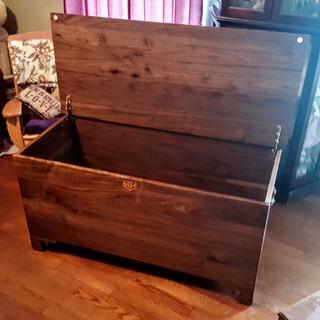 I am restoring my old cedar chest. easy to install,, best if chest is big enough so person can be inside chest and mark lid for screws while lid is in correct position. hinges will hold lid in full open position.. I am making a cedar hope chest. I hope these will work with my design for the top lid. Taking a woodworking class and instructor suggested looking at Rockler. Need them for the 80 inch chest I'm building. Looks like it's what I need, appears to be simple, cost effective and has other positive reviews. Exact match to 80 + year old chest hinges. I have used these hinges before. I believe these are the best hinges to use in making a cedar chest. Looks like the right application to replace hinges on my older cedar chest. MY HUSBAND COULD NOT FIND THEM ANY WHERE ELSE. My grandfather built me a cedar chest 32 years ago and the hinges have failed - lid too heavy. My Uncle Kevin ... recommended this type of hinge to me. So here I am! NEED A NEW HINGE FOR A CEDAR CHEST. AND LOOKS NICE. I am building a blanket chest. This is what I chose to use on the blanket chest I am making. I didn't want the chain hinge so I purchased this! 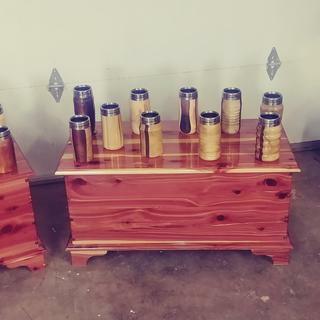 I am making a cedar chest for my daughter and this hinges work great I have used them before. Repairing a chest for my friend and they have the wrong hinge style in place. Want it fixed correctly. 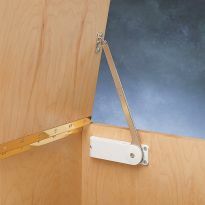 This hinge serves the purpose of hingeing the top of the chest and also holds it open, no need for additional lid supports. My previous experience with Rockler has been good. Also I have used this item(s) in the past. This is a replacement for the original hinge on my cedar chest. The original hinge never kept the lid open reliably. This should solve the problem once and for all. I have built a chest and hope this hinge will work with my design for the lid. Combined hinge and lid support, looks to be the easy way to mount lid. Hope it works as well as expected. The technical manual shows the open position to be slightly forward. I thought 95 degrees of movement would have the lid leaning slightly past straight up so the lid would not be prone to slamming shut. So does the lid lean to the front or back when fully opened? BEST ANSWER: The hinge holds the lid firmly in the open position at 90 degrees. 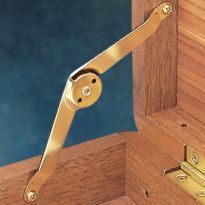 I have used this hinge on four cedar chest with no problems. It must be installed properly however. 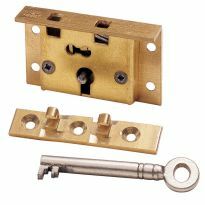 Does the hinge have a detent or "lock" to hold it upright? No, the hinge simply holds it open because it is tight. What is the maximum thickness of the lid? Can I get away with these with a 1.25" thick lid and 3/4" back to a bench? BEST ANSWER: yes you can. Thickness is not a factor. Be sure to position them so no gap is between the lid and back of the bench when closed. 1.25" thick lid would work fine with this hardware. what is the maximum amount of weight that these can support safely? BEST ANSWER: The amount of weight should not exceed more than the screws in the lid can hold. and a box shelf loaded. That I don't know. We use them for a cedar chest lid. It is around 4 to 5 lbs. max. I have a Roos cedar chest with no inside hinges. Do you have them? BEST ANSWER: Yes I have them. 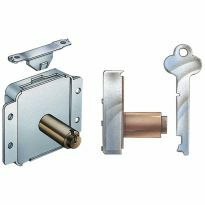 What do you need to know about this type of hinges? Yes I do. They were easy to install. Lid will slam if not careful. 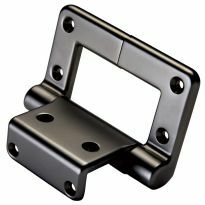 Do you need to use hinges with these lid supports? BEST ANSWER: No Bob, the work as both the hinge and the support. I used a pair on a heavy solid oak hope chest lid and they work just fine. These lid support are also the hinges. No other hinges are necessary. These are hinges and lid supports in one. This is a hinge and lid support in one. The lid of the chest extends 1/2" all around from the chest. Can not get the hinge to fit? The back edge of the lid needs to be flush with the back of the chest. Can these hinges be used by themselves on a chest or are other hinges needed? BEST ANSWER: Aaron E. sorry about the late reply. No this is the only hinge you will need. they come in a pair . Left and right . very easy to install. Roscoe S. the manufacture does have problems with them on occasion but i really like them. these are the only hinges you will need, I used them on a fairly heavy lid and they worked fine. I used those hinges on a chest and they were the only hinges on that chest. Is the cedar chest hinge also a friction hing? BEST ANSWER: If you mean by friction hinge that the hinge stays open at any position like the rockler torsion hinges meant for toy chests/blanket chests, the answer is no. This hinge has a stop somewhere past ninety degrees where it stays in the completely open position, but once it is on its way back down, there is nothing stopping it from closing. Hope this helps. is the hinge sturdy enough to support someone sitting on top of the chest? BEST ANSWER: When the lid on my chest is closed, there is no pressure on the support at all. The lid rests on the sides of the chest on small rubber bumpers so it can support a person sitting on it just fine. how wide is this hinge from the side of the chest to the inside of the hinge? BEST ANSWER: 1 1/8''. If I understand your question correctly. when I tried to fix the lid to the box when the lid closes there is a frontward movement of the top. Leaves an uncovered .5 inch gap on the back so the back wall of the box does not match up. When I try to move the lid and reposition then it hits the upper back wall. Why? BEST ANSWER: This hinge requires a 3/4" back wall. If the back wall of your box/chest is greater than 3/4" the hinge will hit and not work correctly.